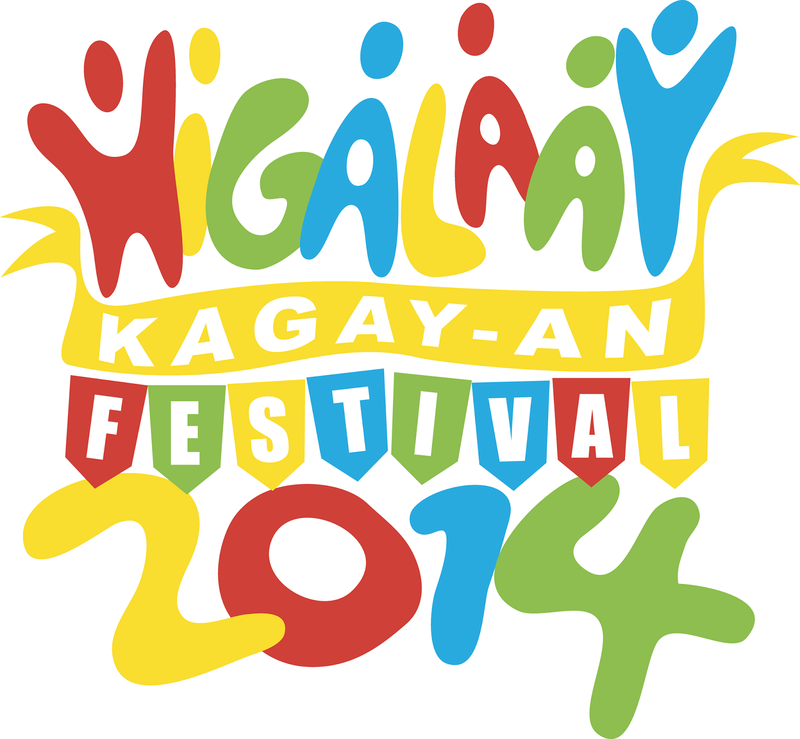 Our dear friend Makiyaki Caters CDO (FB: makiyakicaterscdo)shared in their Facebook page this photo. 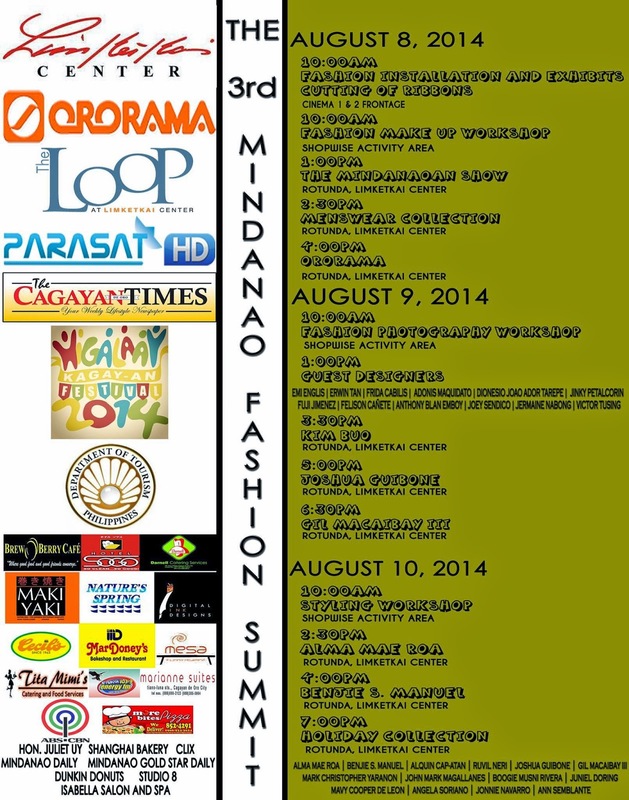 Its a schedule of events for the Mindanao Fashion Week Summit 2014. Pls click the photo to enlarge. 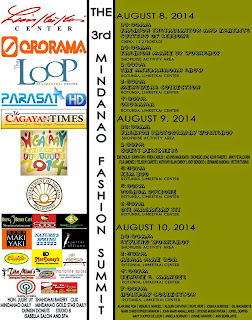 Makiyaki Caters CDO is one of the Major sponsors for the said event. Use the official Hash Tag #HigalaayCDO in every post you made. Why do we all need a BARON SOLAR KIT?